Jute rugs are a totally green way to add area rugs to any room of the house. From the living room to the den, to the bedroom. These rugs are made out of 100% natural jute, a plant fibr usually found in burlap material. Because of the fact that a jute rug is made out of the same fibr found in burlap which a stiff often coarse fabric there is a common misconception that jute rugs aren’t soft, but nothing could be further from the truth. Turns out these rugs are quite soft and are pleasant to walk on. These rugs come in a variety of designs and sizes all of which can enhance individuals own personal taste when wanting to remodel their home or when decorating a new place. Here are some other things that make choosing a jute rug during your home remodel a good idea. Rugs can take a beating especially in high traffic areas, where dirt and embedded stains can set in along with the rug wearing down. Jute rugs are ideal for high traffic areas because these literally absorb dirt and stains. As for the wear and tear, the rugs have a solid reputation of standing the test of time, and actually looking as good as they did when first purchased after a few years of continuous use. As for cleaning jute rugs only need to be vacuumed a few days a week because these don’t show dirt as other rugs will. One thing to keep in mind though jute rugs can’t bee steamed clean because of the natural fibers used to make them but again given how absorbent these are and how these don’t show dirt steam carpet cleaning isn’t really necessary. This is another thing that makes jute rugs a good thing to consider when redecorating. These are usually inexpensive to buy. Some good advice though is to shop around not just for the right type of jute area rugs your desired decor but to get the best deal possible. Wherever the jute rugs are bought rest assured it will be a good value and a sound investment since these rugs are made to last. 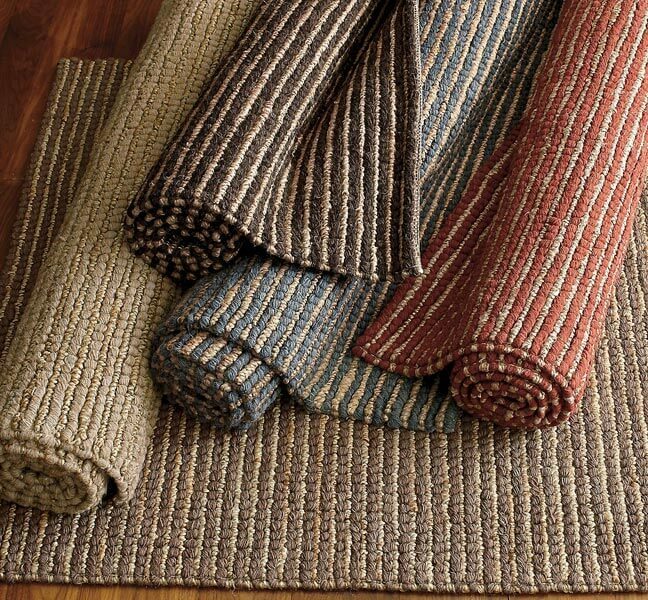 If you are yet to find that perfect jute rug for your home, visit TrendCarpet today. They’ve got the best prices on every premium rug and my shopping experience with them was totally worth it. Jute rugs are a good area rug to buy but there are a few things to keep in mind when adding one or more to your room decor. First, there is the smell, when it is first purchased due to the fact that the rugs are made out of plant fibers. The smell will go away within a few days. Another issue could be shedding with fibers leaving the rug periodically usually under the rug. Not to worry though this shedding is also minimal. So, upon looking at these disadvantages it is easy to see that the advantages outweigh them. Which is why high-quality jute rugs are ideal to give your home a whole new look.